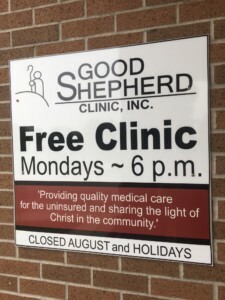 The Good Shepherd Clinic is going on 10 years. They offer free, quality medical care to the financially eligible in the Northern Hills, ages 19 to 64, who can’t otherwise afford any health care. 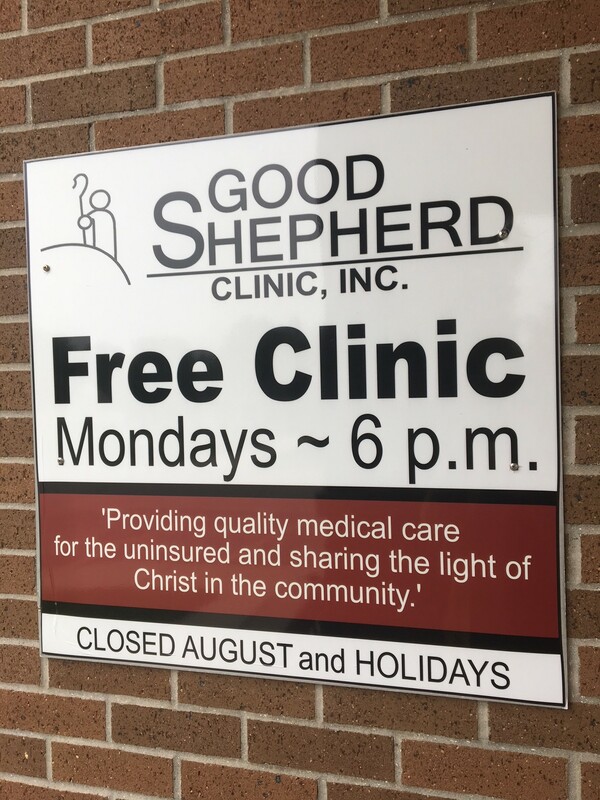 The Good Shepherd Clinic in Spearfish is a nonprofit organization that saw the need for healthcare services for the less fortunate. Going on 10 years, they offer free, quality medical care to the financially eligible in the Northern Hills, ages 19 to 64, who can’t otherwise afford any health care. It takes a small army to transform Our Saviors Lutheran Church into a medical clinic every Monday night. To list a few: 140 trained volunteers, 16 healthcare providers, 15 dentists, 1 board of directors, and 3 pharmacy partners. The volunteers come from all walks of life and backgrounds, but they have one thing in common – a heart and passion for giving. Dr. Todd Jones, a retired dentist, helped to start the dental program at the clinic. The exams and X-rays are done at the church clinic, then the actual dental work is outsourced to the participating dentists. Since the dental program started about three years ago, they’ve had about $225,000 worth of dentistry that has been produced. The newly added denture program is giving patients a renewed smile – something you can’t put a price one. The clinic is always looking for volunteers, including non- medical. They are expanding services by providing immunizations to patients. The clinic is a reality thanks to the monetary donations of private and corporate donors, grants and fundraising events. Events like the 7th Annual Harvest Hop Fundraiser benefit the clinic and patients. It will be held Oct. 5 at the Spearfish City Park Pavilion. Doors open at 6 p.m. followed with entertainment at 7 p.m. by Gordy Pratt and Dalyce Sellars. Tickets may be purchased for $20 at the door. Click here for more information on the Harvest Hop. 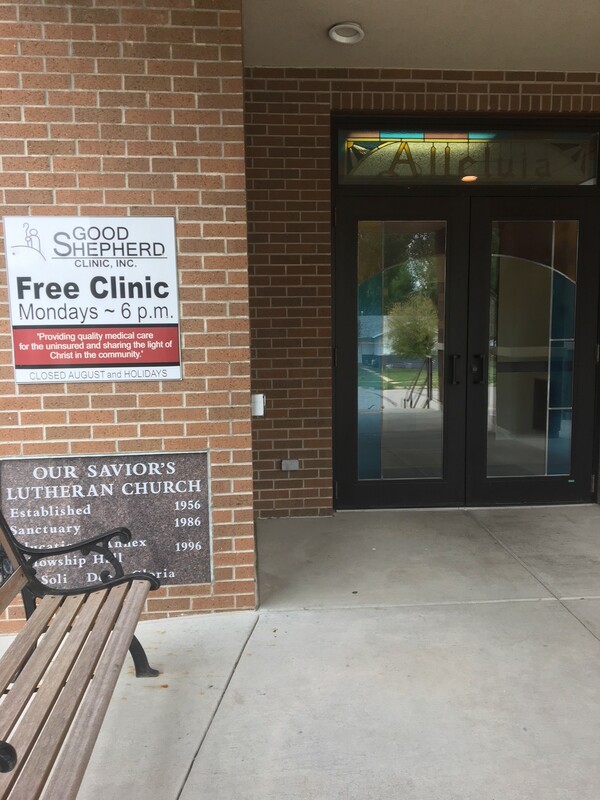 The walk-in clinic, located in Spearfish, is open at 6 p.m. on Mondays at 1020 State St., Our Savior’s Lutheran Church. For more information, please call Erika Young, of the Good Shepherd Clinic, at 605-431-5604.